Mission critical systems need and require a world-class certified data protection solution that provides both data backup and the ability to recover from any disaster. No matter where systems and data are located – they have to be available 24/7. SEP is the life assurance for businesses and organizations worldwide. Massive storage, data backup, disaster recovery, high availability and replication can be at one’s fingertips with Red Had® Storage combined with SEP sesam Hybrid Backup. 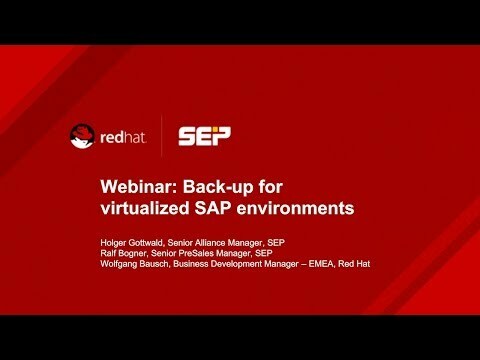 Companies and organizations can use Red Hat® Storage to backup and redeploy data backups from anywhere to anywhere. Backups created from data centers, virtualized environments and private or public clouds can be moved anywhere the system manager desires. Red Hat® Storage Server offers global replication capability with a single point of administration. 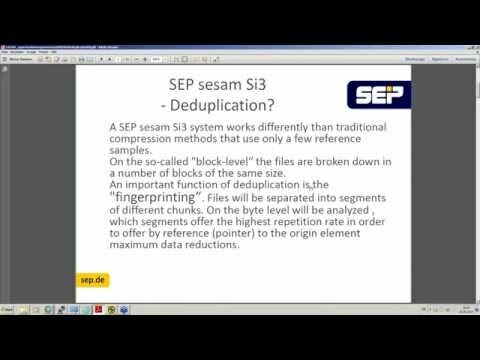 Replication is latency aware, object based and works perfectly with SEP sesam Si3 inline deduplication. The included, Open Stack proven, Gluster FS offers the ability of easy and unlimited storage growth. This scalable and redundant backup-solution-stack allows tiering and backup-data-migration on any storage hardware or cloud storage. 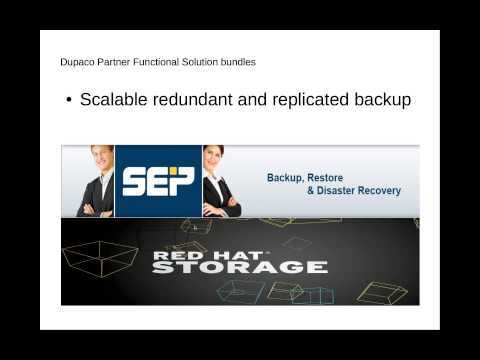 SEP offers a central backup solution for the entire IT environment on one side while Red Hat offers a vendor independent backup storage with no limitations on the other side which gives maximum flexibility to IT administrators and radically reduces total cost of ownership (TCO). 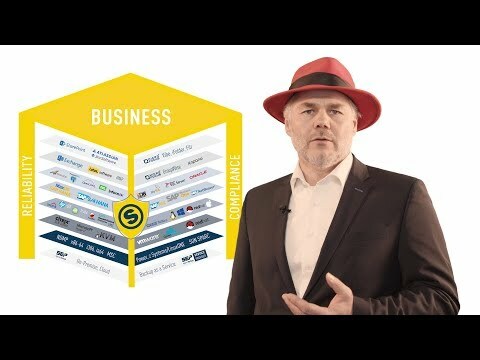 Red Hat and SEP are committed to meet customer needs providing all the functionality, performance and interoperability required to meet today’s demanding customer environments. Together, Red Hat and SEP offer world-class solutions/programs at an optimal price to implement, protect, and improve customers’ investments in their IT infrastructure. SEP is also offering service provider licensing models and can support the Red hat cloud engagement. 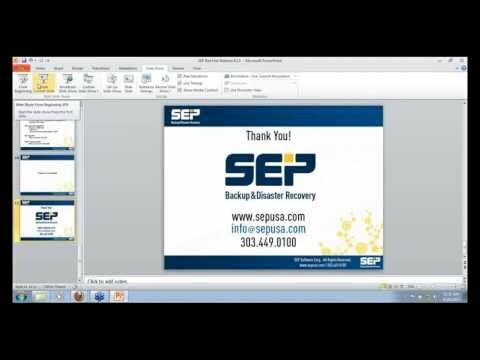 SEP sesam Hybrid Backup - "A company without backup is like a car without a seat belt!" SEP sesam Hybrid Backup and Disaster Recovery Solution "Made in Germany" is the perfect solution for heterogeneous IT infrastructures. It provides absolutely reliable data protection for organizations and enterprises from midsize to enterprise. 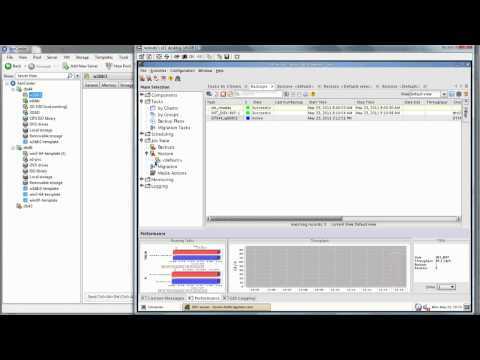 It supports all virtualization platforms, operating systems, databases and applications on physical computers, as well as in virtualized environments. A comprehensive portfolio of modules ensures uninterrupted data protection for a wide variety of applications and databases, including SAP HANA on Intel & IBM Power platforms, SAP NetWeaver & SAP ASE. 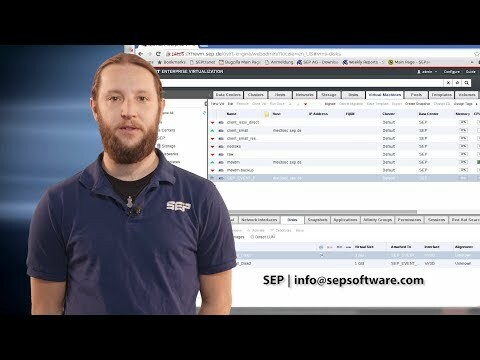 The SEP sesam multi-streaming technology enables extremely fast, simultaneous backups of an unlimited number of servers to different backup media such as disk, tape and cloud. 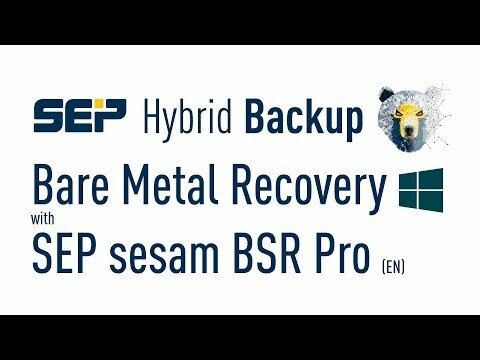 After a disaster, SEP sesam Si3 replication technology offers a fast and located independent recovery of single files up to the complete system. In addition, companies with SEP sesam are hardware and software independent, which makes it possible to consolidate several backup systems into a centrally managed backup solution such as SEP sesam. This enables IT managers to flexibly adapt their infrastructure to the constantly growing requirements. 25 years of experience in the development of backup software solutions, German quality and product standards as well as an attractive price-performance ratio are reflected in the often certified backup solution SEP sesam. As a German manufacturer, SEP offers short communication channels to provide fast and reliable help, especially in crisis situations, with the extensive topic of data backup.